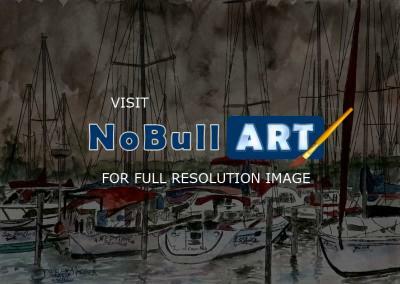 Sailboats at night watercolor painting pen and ink drawing illustration. I named the boats on this painting after my family members and even included a boat with my 2 dogs names! Sailing at night sailboats nautical boats watercolor painting pen and ink drawing fine art print.